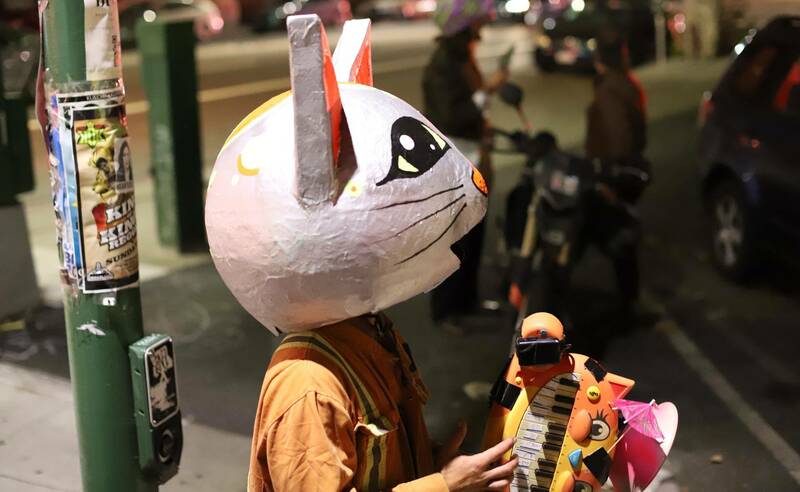 Smithey and his friends represent the Oakland Guild of Space Cat Voters, a loose-knit outfit promoting democratic participation and a progressive slate of candidates and causes on the local and state levels. 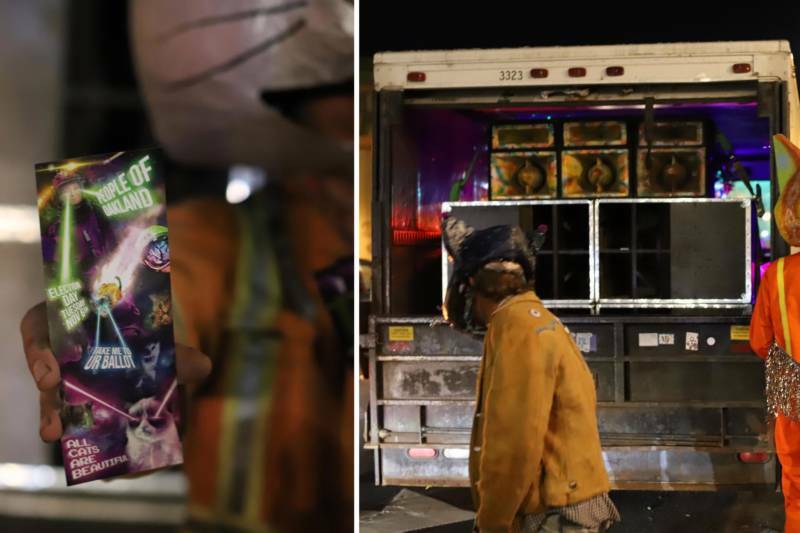 Outside the New Parish, they distributed glossy cardstock flyers bearing the loud graphics of a rave handbill—but, upon closer inspection, they were in fact emoji-embellished voter guides. 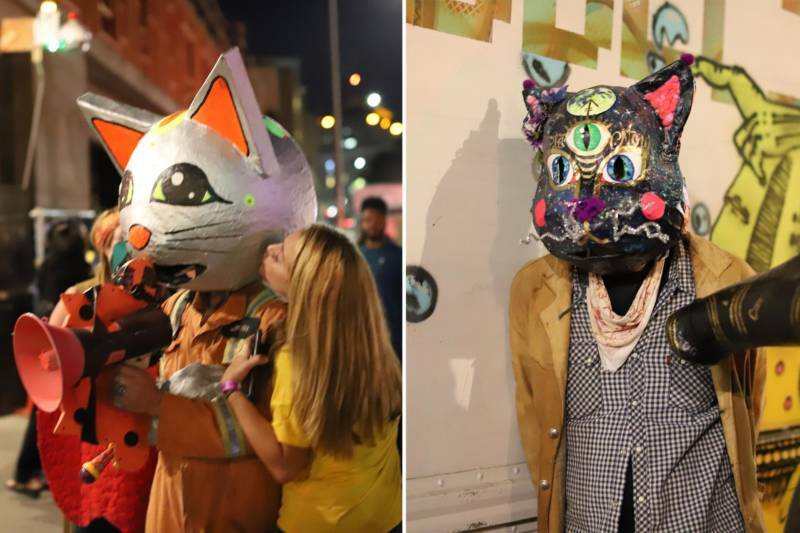 Cat Brooks, the activist challenger to incumbent Oakland Mayor Libby Schaaf, earned five beaming cat faces. 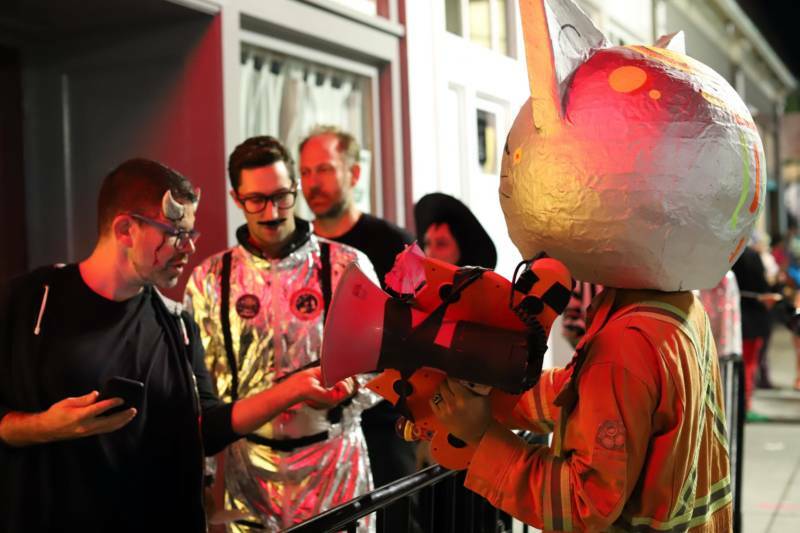 Smithey approached the line outside the venue, where the Extra Action Marching Band were headlining a sold-out gig, holding a megaphone attached to a toy keyboard modified to play two octaves of meows. 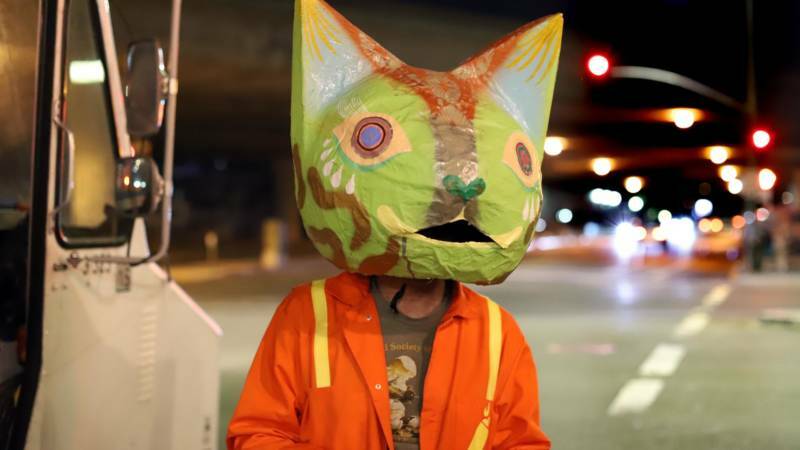 The Space Cats formed in 2014, he recalled, inspired by the irreverence of the League of Pissed Off Voters in San Francisco and energized by the Oakland mayoral campaign of civil-rights organizer Dan Siegel, who’d notoriously resigned as Jean Quan’s legal advisor to protest her approach to Occupy Oakland.